Over 250 tasting notes from Part I of the Mosel Vintage are now available in the database integrated in CellarTracker. In addition many recommended wines from a further 25 Estates are also included in this Issue. 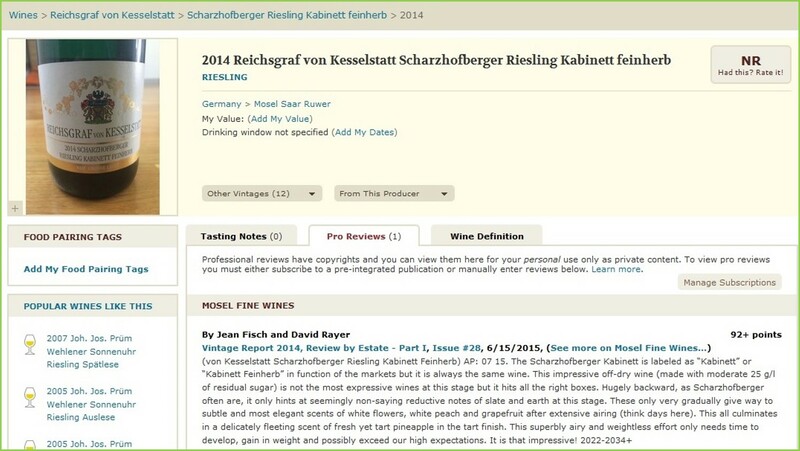 This database service is available to subscribers to both Mosel Fine Wines and CellarTracker. Find more information here.